Universal Studios never really wanted to get into the theme park business. They wanted to be the anti-Disney. But when forced to do so, they did it in a big way. Despite the fits and starts of multiple owners, the parks have finally gained the momentum to mount a serious challenge to the Walt Disney Company. How did this happen? Who made it happen? What does this mean for the theme park industry? 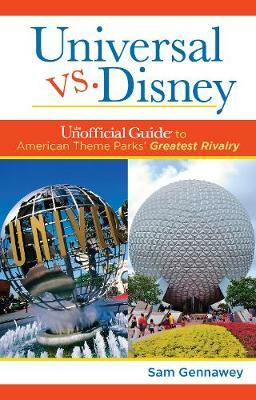 In Universal Versus Disney, his newest work to investigate the histories of America's favorite theme parks, seasoned Disney-author Sam Gennawey has thoroughly researched how Universal Studios shook up the multi-billion dollar theme park industry, one so long dominated by Walt Disney and his legacy.